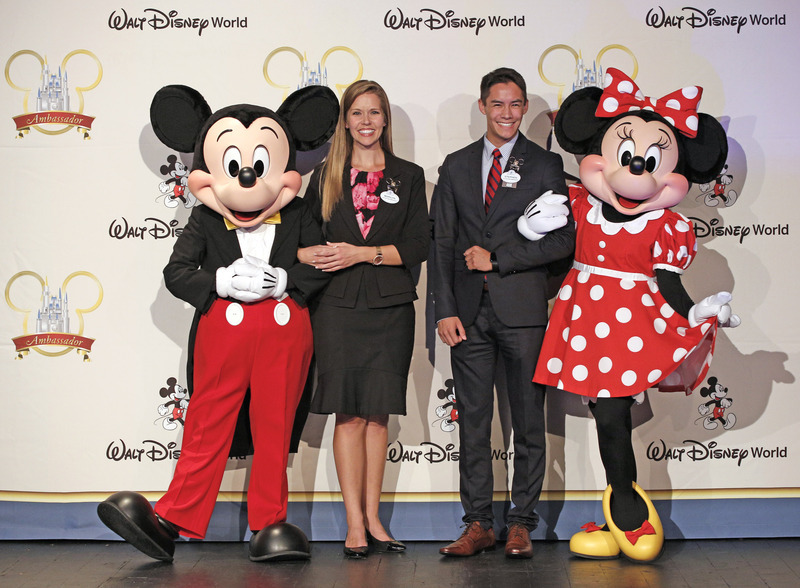 The pair—one of whom is originally from San Francisco, CA—will represent more than 74,000 Walt Disney World Resort Cast members through an exciting era of growth and development. LAKE BUENA VISTA, Fla. Sept. 27, 2018— Walt Disney World is a place where dreams come true… and today, for two very special Cast Members, just that happened when they were surprised with the news of being selected for the coveted role of the next Walt Disney World Resort Ambassador team. 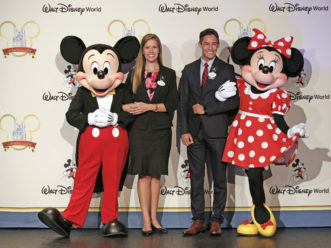 Marilyn West and Stephen Lim will represent Walt Disney World Resort, its Cast Members and ideals throughout their two-year term. 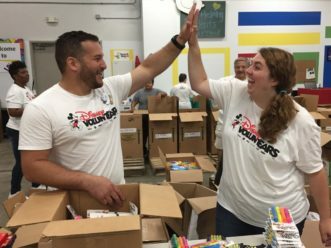 With thousands of Cast, community and special events throughout the year, the Ambassadors are responsible for championing the efforts of Disney VoluntEARs while recognizing and celebrating the many achievements and milestones of 74,000Cast members. The honor of being selected as a Disney Ambassador began in 1964 during the 10th anniversary of Disneyland Resort when Walt Disney was overwhelmed with requests for appearances and media interviews. Since he chose the first Disney Ambassador to serve in 1965, the program has evolved to represent the company, its Cast members and ideals through more than 50 years of milestones. Together, Marilyn and Stephen will represent the resort throughout an exciting era of growth and development, including the opening of Star Wars: Galaxy’s Edge at Disney’s Hollywood Studios and several new attractions as Walt Disney World moves toward its 50th anniversary in 2021. Stephen grew up in the sunny state of California, where he was just a short drive away from Disneyland Resort. In fact, he opted to attend University of Southern California due it’s close proximity to the magic. 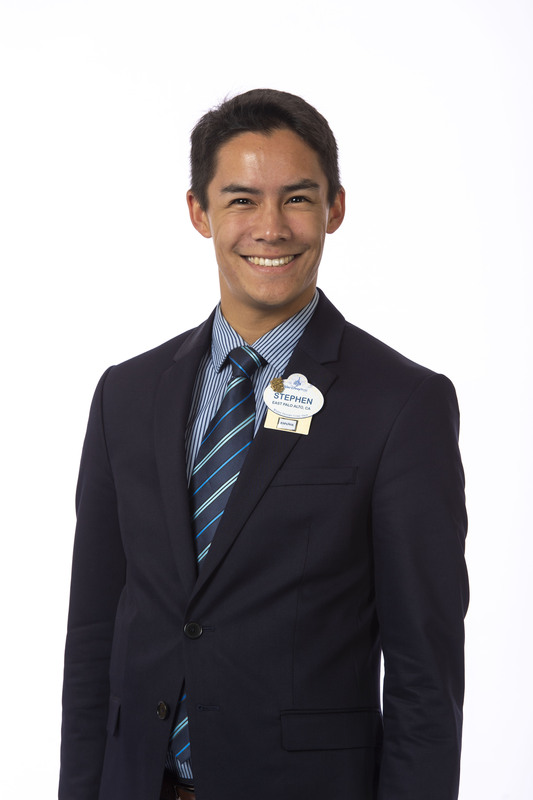 As a frequent visitor to the parks, Stephen developed a deep passion for all things Disney. 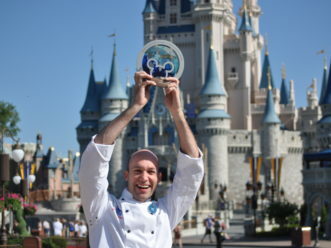 While his Disney career may have first began in California, it wasn’t long before he was packing up his bags and heading to Florida to continue his journey. 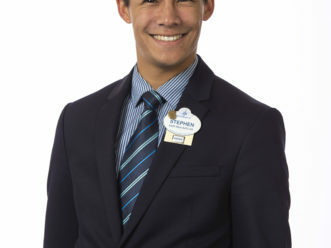 He currently serves as a front desk service advisor supporting Disney’s Caribbean Beach Resort, where he puts his vast knowledge of Disney’s theme parks and resorts to use each day. He also facilitates classes that welcome new Cast Members into their roles. He will serve alongside fellow Ambassador Marilyn West. After an extensive search that spanned two months and a variety of interviews, the pair was selected from hundreds of hopeful candidates. A once-in-a-lifetime opportunity, Marilyn and Stephen will be part of a 53-year time-honored tradition that helps to inspire and bring the legacy of Walt Disney Parks and Resorts to life for Cast members, guests and the Central Florida community. In a special ceremony at Disney’s Contemporary Resort, the 2019-2020 Ambassador team was surprised with the exciting news of their new roles. 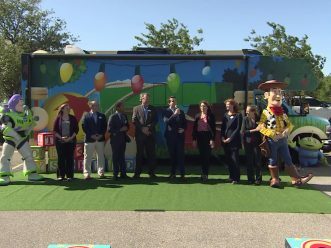 Current Walt Disney World Ambassadors Ken Facey and Brandon Peters, as well as several Walt Disney World Ambassador alumni, were among the enthusiastic group of well-wishers who congratulated the new team. Following a three-month training, the team will begin their busy two-year term, January 2019 through December 2020. 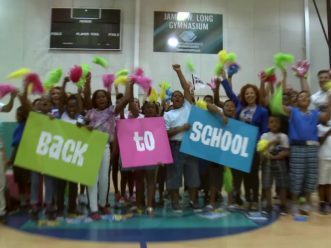 For decades, Walt Disney World Resort has remained committed to Central Florida, investing in the community in ways that directly improve the lives of children and families. 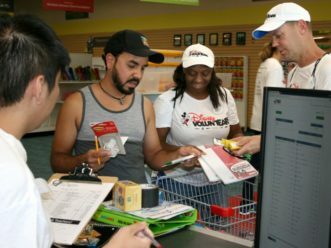 By doing this, the same unique magic of Walt Disney World Resort theme parks and resorts is infused into the day-to-day lives of Central Floridians who need it the most, helping to strengthen children and families and bring positive, lasting change to the community.